Infusion systems are used to administer drugs or fluids in solution form to patient’s blood circulatory system in systemic, controlled, and precise manner. The various routes to administer the drug into patient’s circulatory system include intravenous, subcutaneous, epidural, and arterial infusions are preferred based on the treatment requirement. Infusion systems were highly used for medical purpose but, owing to increase in mortality rates with infusion systems, companies focusing on the advanced infusion systems. Advanced infusion systems have found extensive acceptance and usage across various areas of disease management. Advanced infused systems are widely used because of their dependable, ergonomic design and easy-to-use features. Advanced infusion systems are extensively used in wide range of application areas including diabetes, oncology, enteral feeding, pain management, and general infusion. The advantage of advanced infusion systems is helping doctors to program and calculate dose delivery rates in a more efficient manner, enabling them to provide better patient care. Global advanced infusion systems market is growing at a significant CAGR due to the increasing global prevalence of chronic diseases. An increase in prevalence and incidence of chronic diseases such as cancer, diabetes etc. is the key factor drives the global advanced infusion systems market growth. 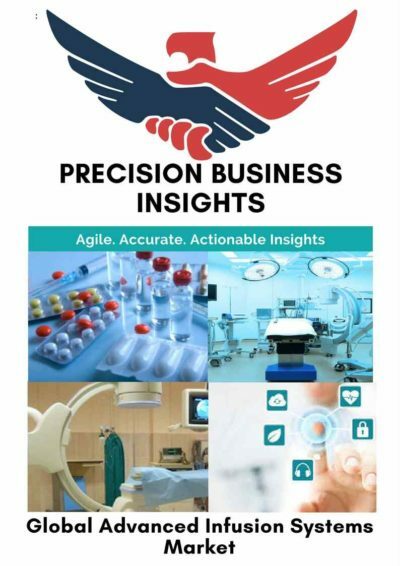 In addition, technological developments in advanced infusion systems which reduce the risks, increase in safety, bioavailability, and therapeutic effectiveness of drugs, and an increasing healthcare expenditure are the factors expected to fuel the global advanced infusion systems market over the forecast period. Similarly, increasing use of advanced infusion products in home care owing to favourable reimbursements, visual monitoring, mobility of the system, continues infusion for multiple medications at the same time, and patient safety are few factors fuel the advanced infusion systems market over the forecast period. However, lack of awareness in using advanced infusion systems expected to hinder the growth of global advanced infusion systems market. Apart from this, product recalls, possible medication errors associated with an infusion pump, and strict regulations for product approval are also some key factors might hamper the growth of global advanced infusion systems market over the forecast period. 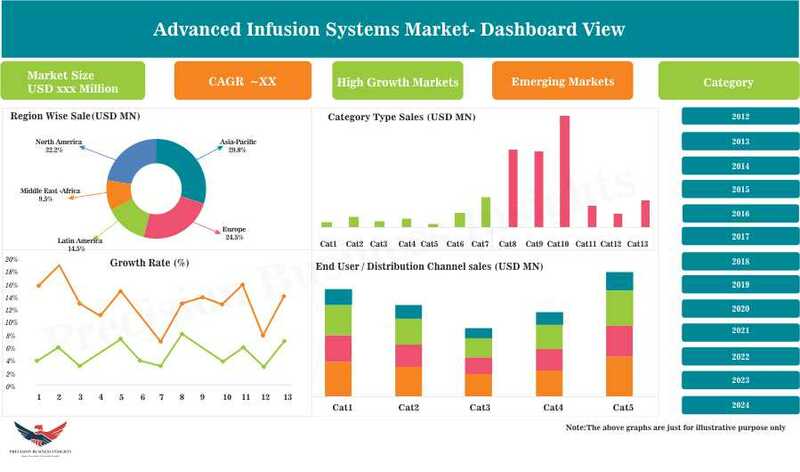 Global advanced infusion systems market is in developing stage, several local and international players are actively involved in the development and marketing of advanced infusion systems. In 2015, the volumetric infusion pumps dominated the global advanced infusion systems market due to the increasing demand for volumetric infusion pumps in hospitals, long-term acute care centres, clinics, and ambulatory surgery centres. 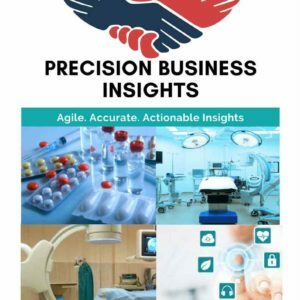 Rising incidence rate of chronic disorders such as diabetes, cancer and increase in geriatric population are driving the growth of advanced infusion systems market over the forecast period. Rising malnutrition around the globe is expected to boost the demand for infusion pumps for clinical nutrition. Technological advancements are playing a major role in the growth of the global advanced infusion systems market. Players in the market are focusing on developing innovative products to gain a competitive edge. For instance, in 2013, Terumo launched the Terufusion advanced infusion system, the latest generation of infusion and syringe pumps, which is convenient handling for multiple infusions. Geographically, global advanced infusion systems market has been segmented into following regions Viz. North America, Asia-Pacific, Europe, Middle East & Africa, and Latin America. North America commands significant share in the global advanced infusion systems market followed by Europe and Asia-Pacific. The largest share of North-America in global advanced infusion systems market is due to high adoption of ambulatory pumps in the management of chronic diseases, high prevalence chronic diseases like cancer (according to American National Cancer Institute, In 2016, an estimated 1,685,210 new cases of cancer will be diagnosed in the United States) and well-established healthcare infrastructure in the region. Europe is the second largest region in the global advanced infusion systems market owing to increasing the prevalence of cancer disease (according to world cancer research fund international, In 2012, globally Denmark is the top country in the prevalence rate of cancer with 338 per 100,000 people and increasing significantly every year). Asia-Pacific region, particularly China and India, are expected to present substantial growth opportunities for advanced infusion systems market players over the forecast period which is mainly attributed to the huge patient population, increasing the incidence of chronic diseases with changing lifestyles, improving healthcare facilities, increasing accessibility to advanced products, and rising disposable income. 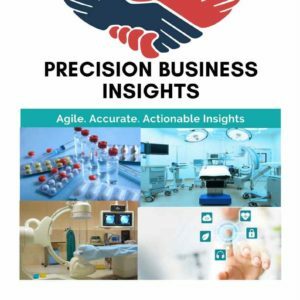 Some of the players in global advanced infusion systems market are Hospira, Inc. (Pfizer Inc.) (U.S.), AngioDynamics (U.S.), Becton, Dickinson and Company (U.S.), Animas Corporation (Johnson & Johnson) (U.S.), B. Braun Melsungen AG (Germany), Terumo Medical Corporation (Japan), Iartic Systems Inc. (U.S.), F. Hoffmann-La Roche Ltd (Switzerland), Medtronic (U.S.), Baxter International Inc. (U.S.), and I-Flow Corporation (Kimberly-Clark) (U.S.) to name a few.